Nicholas Hawken was born 16 March 1836 at Porthpean, St Austell, Cornwall, England, the son of William Hawken and Philippa Harding. He immigrated to NSW in 1854 and worked in the Shoalhaven area for about a year before settling in Sydney and opening a store. He married Mary Jane Vance (1838-1907) on 24 July 1861 at Kiama, NSW, and they had five sons and eight daughters. Nicholas Hawken died 13 July 1908, aged 72 years, at his home ‘The Gables’, City Road, Darlington, and he was interred in the Wesleyan Section of Rookwood Cemetery. His estate was valued for probate at £14,650. He also lived on Codrington Street, Darlington. After Nicholas Hawken moved to Sydney in 1856 he became a storeman and then managed a produce business. He later established the firm of Hawken and Vance, produce merchants with premises in Sussex Street, Sydney. Hawken was on the Council of the Agricultural Society of NSW in 1880. During his time as Mayor in 1883, Council successfully petitioned to increase the number of alderman from six to nine in view of the increased population in the borough and he supported the formation of a free library in Darlington in 1889. In 1887 Nicholas Hawken was elected to the NSW Legislative Assembly as the Free Trade member for Newtown. He served until his defeat at the general election of 1891, when the Labour Party first made their entry into public life, he had to stand down. In 1889 he was appointed to the NSW Legislative Council, where he served until his death and was reportedly a ready and forcible debater as evidenced when he made a spirited defence in Parliament of the new and controversial sculptures on Sydney’s General Post Office. 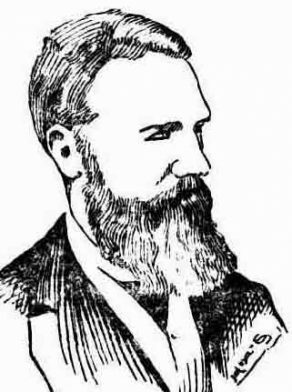 Hawken was the Member for Newtown in the NSW Legislative Assembly 1887-91 and a Member of the NSW Legislative Council from 1899 until his death in 1908. Nicholas Hawken was an alderman on Darlington Council in 1880-83 and 1890-93. He was mayor in 1881-83 and the Council’s Returning Officer in 1881-83. D. H. Trollope, ‘Hawken, Roger William Hercules (1878–1947)’, Australian Dictionary of Biography, National Centre of Biography, Australian National University, http://adb.anu.edu.au/biography/hawken-roger-william-hercules-6602/text11369, published first in hardcopy 1983, accessed online 12 January 2018.